I am taking the reins of the presidency of Azm University armed with a lot of enthusiasm, and the conviction that the institution is prepped for a very bright future. Former President Farid Chaaban has left in place a very dedicated team of professionals, all of whom have been instrumental in positioning Azm among the leading universities in the north of the country. Together, we will continue to build on their achievements. In just a few years, Azm University has seen a significant growth in the number of students and a very noteworthy expansion in its offerings. We are the only university in Lebanon offering a bachelor’s degree in Criminology; we have launched an Education curriculum that addresses often neglected needs in our community; and created an innovative English-language program that recognizes the transformational challenges that must be met so that we can deliver on our promise to take our students from the local to the global. Our ARCHIDES has already established itself as one of the leading schools of architecture in the country, steered by the workmanlike and dedicated leadership of its MIT graduate dean, Professor Jamal Abed. 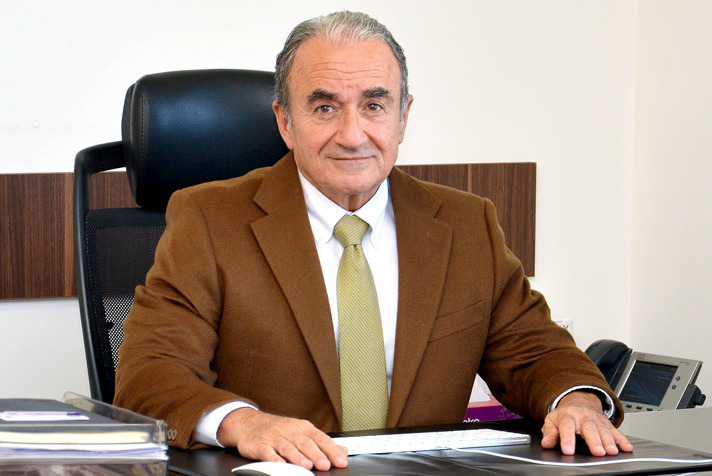 Our Faculty of Business, led by its dynamic dean, Professor Samer Nakhle, is providing our students with state-of-the art instruction through a carefully constructed network of professionals. Possibly the best indication of the inroads achieved is the ever increasing commitment of the students who are opting to join Azm University. We are very proud of their achievements, and respectful of their ambitions. As we move ahead, we will be laying the necessary foundations to enable Azm University to seek both institutional and professional accreditation from American and international accrediting agencies. This is a demanding but absolutely worthwhile undertaking that will place Azm among the elite institutions in Lebanon and the region. We are committed to pursue this objective and have already taken initial steps. I would like to thank the Board of Trustees for the opportunity to lead Azm University, and Dr. Farid Chaaban for steering the university so adeptly in its first years, making it possible for us to continue to move forward.